I used to love looking at other people’s income reports each month. They helped motivate me and show me what was possible outside the spectrum of a regular job. Doing my own income reports each month helped me stay committed when I was first trying to transition out of my former jobs. 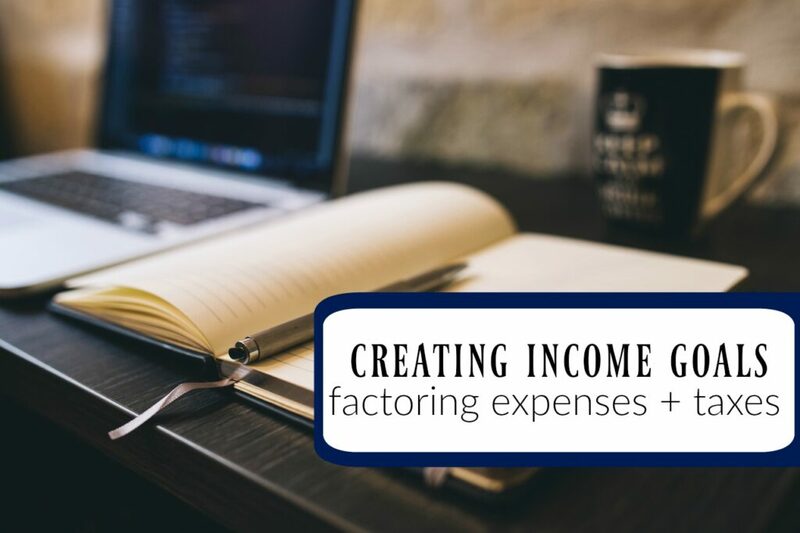 However, when looking at those income reports I was always fixated on that gross number without taking into consideration things like expenses and taxes. So today I thought I’d pull the curtains back a little more and go over my gross income for the first six months of the year, my expenses and taxes. When you’re self-employed you’re responsible for paying self-employment taxes. This includes social security and Medicare at a much higher rate than you’re taxed as an employee. (15.3% for self-employment versus 7.65% paid by traditional employees.) Aside from this you also have to pay federal and state income taxes. Okay now that that explanation is out of the way here are my numbers for January through June 2016. This means that for the first half of the year I earned an average of $6,943.62 but only got to keep $4,423.57.42 per month. Puts things into better perspective, right? Also, a little side note. I don’t want this to come off like I’m complaining that I only get to keep $4,400 per month. I’m not. I’m actually completely happy with that amount. I just want to shed some light on the behind the scenes numbers for those of you interested in pursuing self-employment. What my expenses include: Contract work, social media software, blog plug-ins, web hosting, email newsletter, my outrageously expensive internet ($300/month) and any classes I sign up for or advertising I experiment with. All of my income and expenses are automatically tracked in GoDaddy Bookkeeping as well as my taxes. I’m seriously in love with the program and can’t believe I waited so long to use it. So make sure that if you’re trying to earn money as a contract worker or 1099 capacity that you plan for taxes. I hope that sheds a little light for you and if you have any other questions just let me know in the comments! Great reminder, Alexa! Self-employed taxes are brutal. I’ve tried to set aside 30% right away so I’m never feeling like I can’t afford the tax bill when it comes. Keep up the great work! They are brutal! And something I didn’t quite factor in that first year of self-employment. I’m like you though I do NOT want to end up with a big tax bill at the end of the year and would much rather overpay slightly than underpay. Making $4,400 per month is $52,800 a year. To make that amount of money at 4% you’d need assets worth $1.3 million. Smart moves 🙂 I need to contribute more to my IRA so that it makes bigger of a difference. Thanks for sharing this. I always wonder why people don’t mention their expenses and taxes when they publish income reports. After all, gross income is only the beginning of the story. Taxes are definitely important to mention! I mention taxes in every single one of my income reports, and somehow I still get people asking me if I pay taxes. Of course I do! Thank you for this Alexa! As my income increases I worry if I’m saving enough to be honest. I also use your spreadsheet to keep up with my online income and expenses. I’m glad you found it helpful! It worked well for me but now I’m loving GoDaddy for the fact that it calculates my taxes for me. It gives me a bit more peace of mind. This was a great post! Thank you for breaking it down and including taxes into your report. That’s very helpful to know! Very helpful post! I love the transparency. Seeing the income reports is great, but I know there are always some expenses with an online blog/business. I like to see ALL the numbers! Wow! In my new journey of being my own boss I really appreciate you sharing this. I had no idea that taxes are much more for those who are self employed. This definitely puts things into perspective for myself and for those who are seeking self employment. PS- Your site got a makeover since the last time I came by. It looks fantastic! A little dose of reality goes a long way! It definitely takes away the hype factor. Many people who venture to transition from employed to self-employed status do not take the employers payroll contributions into consideration. It is not that self-employed people are taxed more, it is just that you are now the employee and the employer – responsible for both sets of contributions. Of course, in many cases these additional expenses are offset by savings from legitimate business write offs that may not have been available as an employee. I wonder if forming a LLC helps to offset the large tax for sole proprietorship? Thanks for sharing and your transparency. How can I get a business going working from home? I am a single mom with 2 kids & I have been wanting to do this since before I had kids. I have tried several businesses. I have to move out of my house cuz it has to be knocked down. I am not getting any help from my x-husband of course & am praying I can be around more for my kids. It seemed as good a chance as any to get to the heart of Uber’s rapidly growing business, one that has already transformed the transportation industry in just a few years, so I took Josh up on the offer and took 11 rides with 11 randomly chosen Uber X drivers and obtained eight out of 11 of the drivers’ pay statements — two drivers who spoke on the record were not comfortable with showing me their pay statements and Uber did not provide pay statements for the last driver.